Last week I took C to Mornington Peninsula Hot Springs for her birthday! On the way there, we made a little pit stop at Rosebud for brunch. 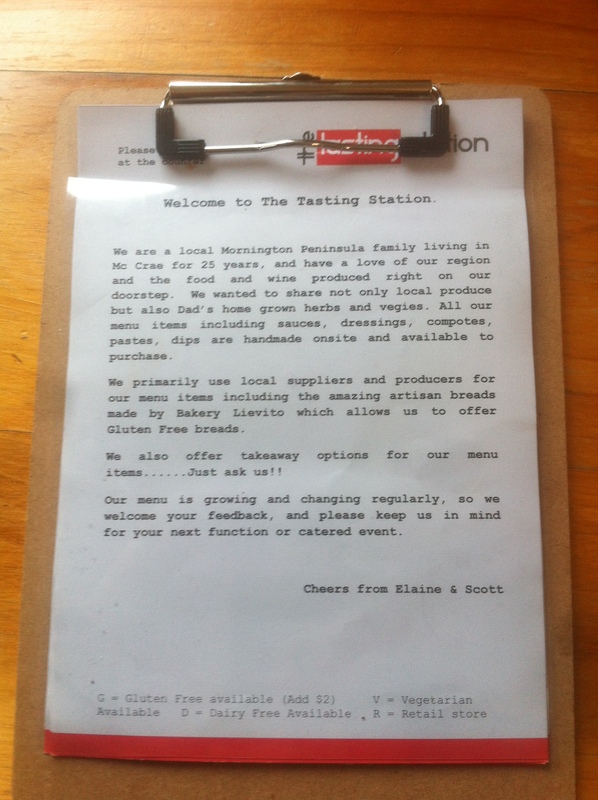 The Tasting Station was the perfect place, with its rustic concrete walls and vintage decor. 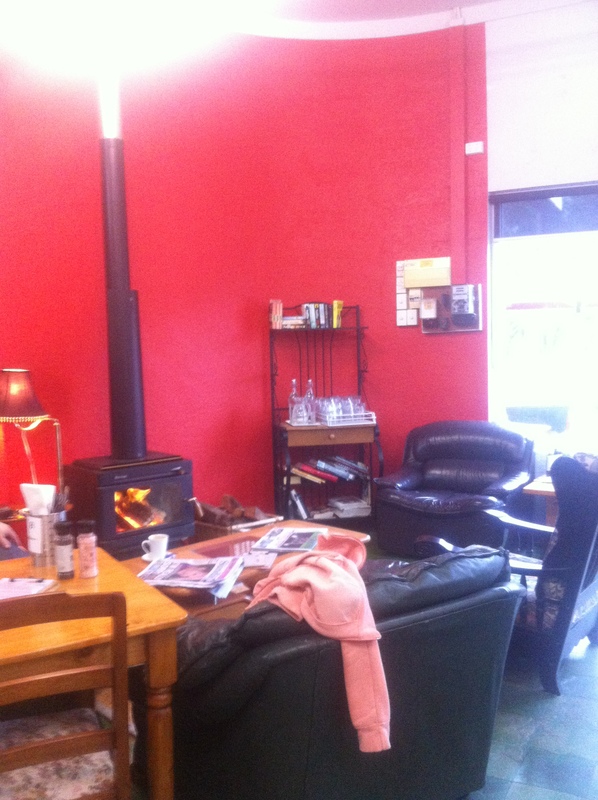 The right corner had comfy couches and a fireplace, which was great for locals to come in, sit for some coffee and read the newspaper. There was also a little kids corner where children can sit and colour so it was family friendly, giving off a comfortable, community ambience. The lady who took our order (I believe it was the owner) was very friendly and motherly, she really seemed to enjoy working there and serving her customers. I noticed that she even sat down with some of the customers and talked to them, playing with families’ babies and such, so the restaurant seemed familiar with the locals. 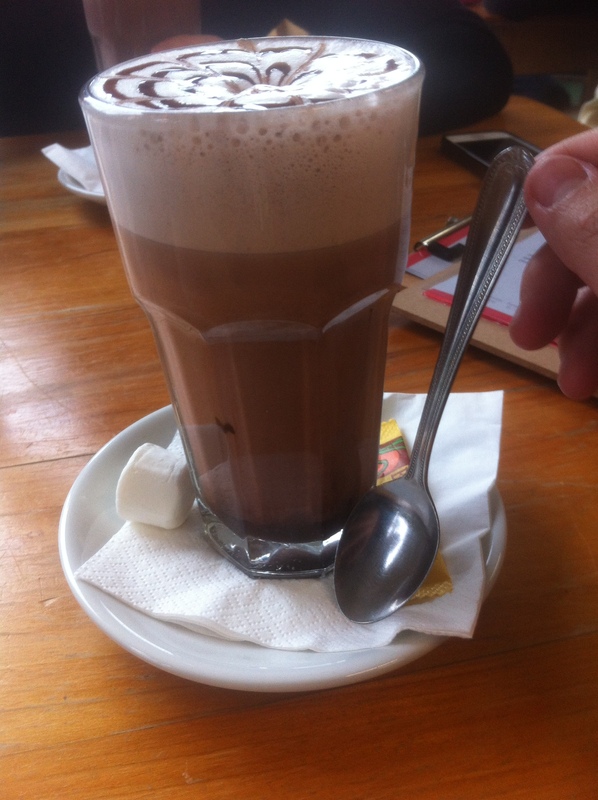 Large Hot Chocolate ($4.50) – the drink was alright, nothing special. It was a bit bitter and the spoon they gave us was impractical… how did they expect us to stir the bottom (where all the chocolate is) with such a small spoon?! 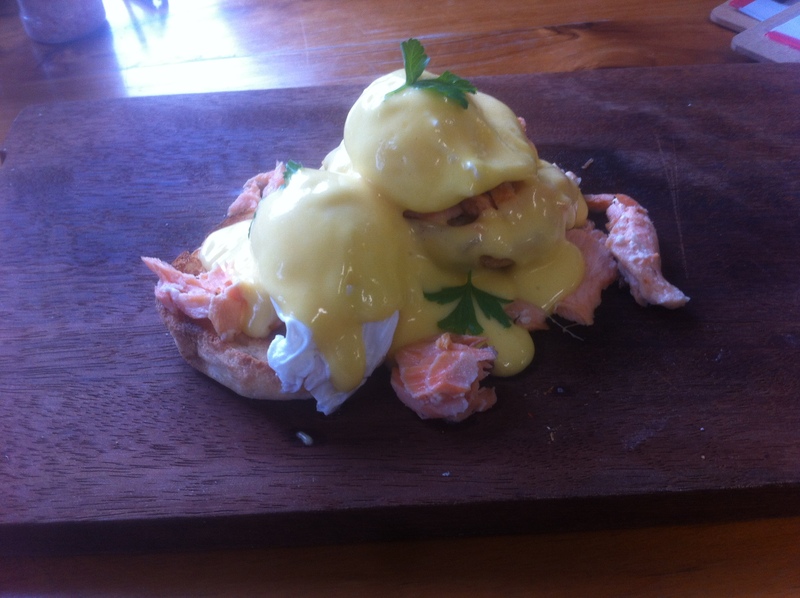 Egg’s Atlantic ($15) – 2 poached eggs on a breakfast muffin, topped with their handmade hollandaise sauce and flaked Tasmanian salmon. 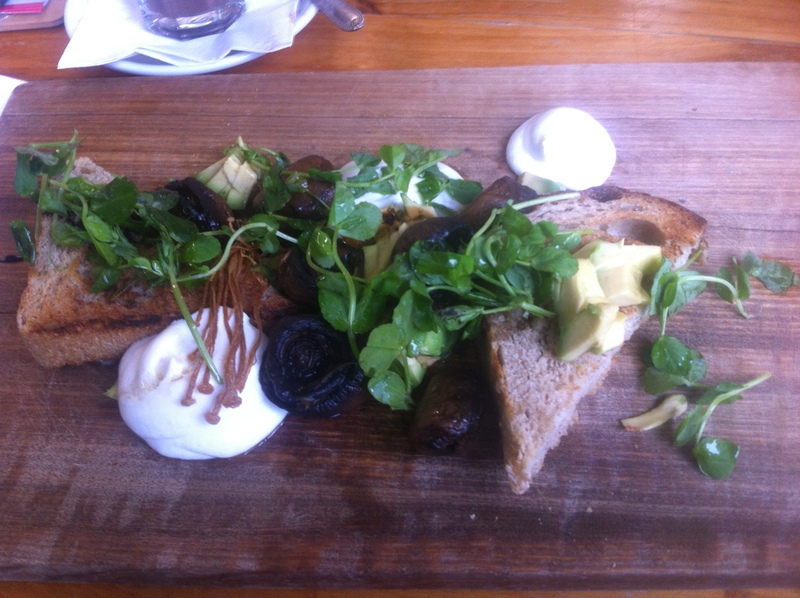 The dish looked really nice; it was placed on a wooden board, which I thought was clean and creative. This was my first time trying a poached-egg-with-hollandaise-sauce type of brunch dish and let’s just say that it will probably be my last. Don’t get me wrong, it’s not like the meal was cooked terribly or tasted horrible. The poached eggs were actually cooked perfectly with bright orange yolk oozing out as soon as I placed my knife into the egg, and the hollandaise sauce was creamy with a hint of acidity from the lemon. I think it’s just not suitable with my taste buds. The yolk together with the sauce were way too heavy for me, and even the muffin and salmon could not cut into that heaviness. The muffin was also pretty tough, and hard to cut into with my knife. I also found a bone in my salmon, which is such a no no in my books. I’d rather spend my $15 on something with a bit of meat instead of fancy poached eggs to be honest. Stick around for the next post!